Guests: Kurt Simon (Carmi-White County Bulldogs Football), Jeremy Blechle (Chester Yellow Jackets Football), Josh McCurren (Christopher-Zeigler-Royalton Bearcats Football), Joe Rivers (Edwards County Lions Football), Brandon Hampton (Eldorado Eagles Football), Justin Townsend (Fairfield Mules Football), Brian Blades (McLeansboro Foxes Football), Dan Mings (Johnston City Indians Football), Mike Rude (Vienna-Goreville Eagles Football), plus Changnon Gym talk and the WMIX Sports Social Media Question of the Week! Guests: AJ Hill (Du Quoin Indians Football), Brett Detering (Anna-Jonesboro Wildcats Football), Robbie Kirk (Sparta Bulldogs Football), Tim Kuhn (Nashville Hornets Football), Bob Pankey (Benton Rangers Football), Brian Beery (West Frankfort Redbirds Football), Al Way (Harrisburg Bulldogs Football), Gary Carter (Murphysboro Red Devils Football), John Warren (Massac County Patriots Football), plus the WMIX Sports Social Media Question of the Week! Guests: Mark Goodheart (Mt. Vernon Rams Football), John Shadowens (Sesser-Valier-Waltonville-Woodlawn Red Devils Football), Dennis Drust (Carterville Lions Football), Bobby Brenneisen (Centralia Orphans Football), Kerry Martin (Marion Wildcats Football), Rich Williams (President, Southern Illinois Coaches Association), Angie Cheatham (Mt. Vernon Lady Rams Volleyball), Brian Lee (Carbondale Terriers Football), plus the WMIX Sports Social Media Question of the Week! Guests: Mark Goodheart (Mt. Vernon Rams Football), John Shadowens (Sesser-Valier-Waltonville-Woodlawn Red Devils Football), Tim Kuhn (Nashville Hornets Football), Quinn McClure (Mt. Vernon Rams Golf), Chris Birkner (Carlyle Indians Football), Clint Turner (Mt. Vernon Rams Cross Country), Tod Rushing (WMIX Sports Correspondent), plus local talk and the WMIX Sports Social Media Question of the Week! Guests: Mark Goodheart (Mt. Vernon Rams Football), John Shadowens (Sesser-Valier-Waltonville-Woodlawn Red Devils Football), Reggie Norman (Benton Rangers Golf), Rachel Payne (Sesser-Valier-Waltonville Lady Devils Volleyball), Brian Short (Central Cougars Football), Jason Karnes (Herrin Tigers football), Sarah Lamczyk (Woodlanw Lady Cardinals Volleyball), Tod Rushing (WMIX Sports Correspondent), plus local talk and the WMIX Sports Social Media Question of the Week! Guests: Mark Goodheart (Mt. Vernon Rams Football), John Shadowens (Sesser-Valier-Waltonville-Woodlawn Red Devils Football), Connie Harre-Blair (Mt. Vernon Lady Rams Cross Country), Neal Evilsizer (Webber Trojans Volleyball), Jeremy Clodfelder (Paris Tigers Football), Brian Beery (West Frankfort Redbirds Football), Brett Detering (Anna-Jonesboro Wildcats Football)Tod Rushing (WMIX Sports Correspondent), plus local talk and the WMIX Sports Social Media Question of the Week! Guests: Mark Goodheart (Mt. Vernon Rams Football), John Shadowens (Sesser-Valier-Waltonville-Woodlawn Red Devils Football), Tim Holloway (Mt. Vernon Rams Baseball), Shane Witzel (Woodlawn Cardinals Golf), Kerry Martin (Marion Wildcats Football), Nick Hausen (WSIL-TV 3 Meteorologist),Tod Rushing (WMIX Sports Correspondent), plus local talk and the WMIX Sports Social Media Question of the Week! Guests: Mark Goodheart (Mt. Vernon Rams Football), John Shadowens (Sesser-Valier-Waltonville-Woodlawn Red Devils Football), Dan Mings (Johnston City Indians Football), Justin Townsend (Fairfield Mules Football), Brian Tackitt (Flora Wolves Football), Lance Boldt (Wayne City Indians Athletic Director), Tod Rushing (WMIX Sports Correspondent), plus local talk and the WMIX Sports Social Media Question of the Week! Guests: Mark Goodheart (Mt. Vernon Rams Football), John Shadowens (Sesser-Valier-Waltonville-Woodlawn Red Devils Football), AJ Hill (Du Quoin Indians Football), Greg Hale (Executive Director, Southern Illinois Junior High School Athletic Association), Tim Kuhn (Nashville Hornets Football), Kurt Simon (Carmi-White County Bulldogs Football), Tod Rushing (WMIX Sports Correspondent), Matt Music (Olney Tigers Football), plus local talk and the WMIX Sports Social Media Question of the Week! Guests: Mark Goodheart (Mt. Vernon Rams Football), John Shadowens (Sesser-Valier-Waltonville-Woodlawn Red Devils Football), Terry Aud (Hamilton County Foxes Golf), Doug Kell (Nashville Hornettes Golf), Brandon Hampton (Eldorado Eagles Football), Norm Sanders (Belleville News Democrat), Tod Rushing (WMIX Sports Correspondent), plus local talk and the WMIX Sports Social Media Question of the Week! Guests: Mark Goodheart (Mt. Vernon Rams Football), John Shadowens (Sesser-Valier-Waltonville-Woodlawn Red Devils Football), Kevin Greene (Salem Wildcats Football), Brad Beaty (Webber Trojans Basketball), Brian Blades (Hamilton County Foxes Football), Brian Short (Central Cougars Football), Tod Rushing (WMIX Sports Correspondent), Darren Kinnard (WSIL-TV Sports Director) plus local talk and the WMIX Sports Social Media Question of the Week! Guests: Mark Goodheart (Mt. Vernon Rams Football), John Shadowens (Sesser-Valier-Waltonville-Woodlawn Red Devils Football), Brian Beery (West Frankfort Redbirds Football), Chris Kays (IHSA Volleyball Clinician), Kerry Martin (Marion Wildcats Football), Les Winkeler (Sports Editor, The Southern), Tod Rushing (WMIX Sports Correspondent) plus local talk and the WMIX Sports Social Media Question of the Week! Guests: Jason Karnes (Herrin Tigers Football), Brian Tackitt (Flora Wolves Football), Steve Marek (Du Quoin Indians Radio), Bruce Dickey (Fairfield Mules Radio), Mike Chamness (AJ Wildcats Radio), Ryan Roddy (Centralia Orphans/X95 Radio), Tod Rushing (WMIX Sports Correspondent), Craig Choate (WCIA-TV Sports), John Shadowens (Sesser-Valier-Waltonville-Woodlawn Red Devils Football), plus local talk and the WMIX Sports Social Media Question of the Week! Guests: John Shadowens (Sesser-Valier-Waltonville-Woodlawn Red Devils Football), AJ Hill ( Du Quoin Indians Football), Brett Detering (Anna-Jonesboro Wildcats Football), Bobby Brenneisen (Centralia Orphans Football), Tod Rushing (WMIX Sports Correspondent), plus local talk and the WMIX Sports Social Media Question of the Week! Guests: AJ Hill (Du Quoin Indians Football), Jeff Lonnon (Mt. Vernon Lady Rams Basketball), Jake Stewart (Harrisburg Lady Bulldogs Basketball), Rick Metcalf (Sesser-Valier-Waltonville Lady Devils Basketball), Matt Patterson (Woodlawn Lady Cardinals Basketball), Rick Hays (Webber Lady Trojans Basketball), Lenny Clark (Johnston City Lady Indians Basketball), plus local talk and the WMIX Sports Social Media Question of the Week! Guests: Doug Creel (Mt. Vernon Rams Basketball), Jeff Lonnon (Mt. Vernon Lady Rams Basketball), Erik Griffin (Meridian Bobcats Basketball), Dave Brown (Marion Wildcats Basketball), Darin Lee (Collinsville Kahoks Basketball), Mike Mooneyham (Herrin Tigers Basketball), Shane Hawkins (Carterville Lions Basketball), Tod Rushing (WMIX Sports Correspondent), plus local talk and the WMIX Sports Social Media Question of the Week! Guests: Doug Creel (Mt. Vernon Rams Basketball), Jeff Lonnon (Mt. Vernon Lady Rams Basketball), Tyler Mitchell (Waltonville Spartans Basketball), Brad Beaty (Webber Trojans Basketball), Shane Garner (Sesser-Valier Red Devils Basketball), Brian Gamber (Woodlawn Cardinals Basketball), Brad Weathers (Nashville Hornets Basketball), Ron Winemiller (Benton Rangers Basketball), plus local talk and the WMIX Sports Social Media Question of the Week! Guests: Doug Creel (Mt. Vernon Rams Basketball), Jeff Lonnon (Mt. Vernon Lady Rams Basketball), Clint Winemiller (Hamilton County Lady Foxes Basketball), Tyler Buss (Mt. Carmel Golden Aces Basketball), Jon Kraus (Okawville Rockets Basketball), Justin Barrington (Du Quoin Indians Basketball), Matt Hampleman (Frankfort Lady Redbirds Basketball), Chris Roberts (Marion Lady Wildcats Basketball), plus local talk and the WMIX Sports Social Media Question of the Week! Guests: Doug Creel (Mt. Vernon Rams Basketball), Jeff Lonnon (Mt. Vernon Lady Rams Basketball), Jim Miller (Carbondale Terriers Basketball), Jeremy Varner (McLeansboro Foxes Basketball), Lance Boldt (Wayne City Indians Athletic Director), Alan Englehardt (Pinckneyville Lady Panthers Basketball), Kevin Toney (West Frankfort Redbirds Basketball), Eric Stallman (Christopher Bearcats Basketball), plus local talk and the WMIX Sports Social Media Question of the Week! Guests: Doug Creel (Mt. Vernon Rams Basketball), Jeff Lonnon (Mt. Vernon Lady Rams Basketball), Andy Palmer (Carlyle Indians Basketball), Mike McManus (WILY/WRXX Radio), Doug Althoff (Nashville Hornettes Basketball), Mike Chamness (Anna-Jonesboro Wildcats Basketball), Chip Basso (Sesser-Valier Red Devils Athletic Director), plus local talk and the WMIX Sports Social Media Question of the Week! Guests: Doug Creel (Mt. Vernon Rams Basketball), Jeff Lonnon (Mt. Vernon Lady Rams Basketball), Mike McManus (WILY/WRXX Radio), Chip Basso (Sesser-Valier Red Devils Athletic Director), plus local talk! Guests: Doug Creel (Mt. Vernon Rams Basketball), Jeff Lonnon (Mt. Vernon Lady Rams Basketball), Doug Miller (Gallatin County Hawks Basketball), Cory Waters (Vienna Eagles Basketball), Russ Gerlach (Edwards County Lions Basketball), Nick Knolhoff (Althoff Lady Crusaders Basketball), Jeremy Shubert (Central Cougars Basketball), Eric Stallman (Christopher Bearcats Basketball), plus local talk and the WMIX Sports Social Media Question of the Week! Guests: Doug Creel (Mt. Vernon Rams Basketball), Jeff Lonnon (Mt. Vernon Lady Rams Basketball), Kevin Wolff (Carmi-White County Bulldogs Basketball), Wayne Harre (Nashville Hornets Athletic Director), Richard Glodich (West Frankfort Redbirds Athletic Director), Jon Kraus (Okawville Rockets Athletic Director), Ryan Miller (Benton Rangers Athletic Director), plus local talk and the WMIX Sports Social Media Question of the Week! Guests: Doug Creel (Mt. Vernon Rams Basketball), Jeff Lonnon (Mt. Vernon Lady Rams Basketball), Brian Gamber (Woodlawn Cardinals Basketball), Evan Wyllie (NCOE Cardinals Basketball), Tyler Mitchell (Waltonville Spartans Basketball), Matt Crain (Carterville Lady Lions Basketball), Andy Sloan (Benton Rangerettes Basketball), Rob Flanagan (Olney Tigers Basketball), plus local talk and the WMIX Sports Social Media Question of the Week! Guests: Scott Gamber [in for Doug Creel] (Mt. Vernon Rams Basketball), Jeff Lonnon (Mt. Vernon Lady Rams Basketball), Bob Waggoner (Pinckneyville Panthers Basketball), Tod Rushing (Pinckneyville Panthers Football), Erik Griffin (Meridian Bobcats Basketball), Norm Sanders (Belleville News Democrat), Mike Austin (IHSA Official), plus local talk and the WMIX Sports Social Media Question of the Week! Guests: Doug Creel (Mt. Vernon Rams Basketball), Jeff Lonnon (Mt. Vernon Lady Rams Basketball), Greg Hale (Executive Director, Southern Illinois Junior High School Athletic Association), Matt Patterson (Woodlawn Lady Cardinals Basketball), Rick Metcalf (Sesser-Valier-Waltonville Lady Devils Basketball), Doug Althoff (Nashville Hornettes Basketball), Todd Tripp (Goreville Blackcats Basketball), Ron Winemiller (Benton Rangers Basketball), plus local talk and the WMIX Sports Social Media Question of the Week! Guests: Doug Creel (Mt. Vernon Rams Basketball), Jeff Lonnon (Mt. Vernon Lady Rams Basketball), GSeiger Shurtz (Christopher Lady Bearcats Basketball), Jake Stewart (Harrisburg Lady Bulldogs Basketball), Rick Metcalf (Sesser-Valier-Waltonville Lady Devils Basketball), Doug Althoff (Nashville Hornettes Basketball), Lee Bennett (Centralia Orphans Basketball), Matt Morgan (Zeigler-Royalton Tornadoes Basketball), plus local talk and the WMIX Sports Social Media Question of the Week! Guests: Doug Creel (Mt. Vernon Rams Basketball), Jeff Lonnon (Mt. Vernon Lady Rams Basketball), Matt Crain (Carterville Lady Lions Basketball), Mike Helton (Goreville Lady Blackcats Basketball), Brad Beaty (Webber Trojans Basketball), Tyler Mitchell (Waltonville Spartans Basketball), Brian Gamber (Woodlawn Cardinals Basketball), Shane Garner (Sesser-Valier Red Devils Basketball), plus local talk and the WMIX Sports Social Media Question of the Week! Guests: Doug Creel (Mt. Vernon Rams Basketball), Jeff Lonnon (Mt. Vernon Lady Rams Basketball), Brian Gamber (Woodlawn Cardinals Basketball), Eric Stallman (Christopher Bearcats Basketball), Ron Winemiller (Benton Rangers Basketball), Chad Baker sits down with MVTHS Sports HOF Treasurer Rob Wielt, plus local talk and the WMIX Sports Social Media Question of the Week! Guests: Doug Creel (Mt. Vernon Rams Basketball), Brian Gamber (Woodlawn Cardinals Basketball), Jon Kraus (Okawville Rockets Basketball), Lee Bennett (Centralia Orphans Basketball), Tyler Buss (Mt. Carmel Golden Aces Basketball), Jeremy Shubert (Central Cougars Basketball), Ron Winemiller (Benton Rangers Basketball), plus local talk and the WMIX Sports Social Media Question of the Week! Guests: Doug Creel (Mt. Vernon Rams Basketball), Lee Bennett (Centralia Orphans Basketball), Tim Holloway (Mt. Vernon Rams Baseball), Tyler Mitchell (Waltonville-Sesser-Valier Spartans Baseball), Mike Kehrer (Woodlawn Cardinals Baseball), Drew Millwood (Webber Trojans Baseball), Eric Saunders (Waltonville-Sesser-Valier Spartans Softball Assistant), Brian Lipe (Salem Wildcats Baseball), plus local talk and the WMIX Sports Social Media Question of the Week! Guests: Tim Holloway (Mt. Vernon Rams Baseball), Bill England (Mt. Vernon Lady Rams Softball), Matt Patterson (Woodlawn Lady Cardinals Softball), Jason James (Du Quoin Lady Indians Softball), Chad Malawy (Nashville Hornets Baseball), Keith Welch (Hamilton County Foxes Baseball), Tyler Buss (Mt. Carmel Golden Aces Basketball), plus local talk and the WMIX Sports Social Media Question of the Week! Guests: Tim Holloway (Mt. Vernon Rams Baseball), Bill England (Mt. Vernon Lady Rams Softball), Jon Kraus (Okawville Rockets Baseball), Clint Turner (Mt. Vernon Rams Track & Field), Tim Craft (Du Quoin Indians Baseball), John Shadowens (Sesser-Valier-Waltonville Red Devils Track & Field), State Representative David Severin (Benton Lions Club All-Star Game), Brett Blondi (Benton Rangers Baseball), plus local talk and the WMIX Sports Social Media Question of the Week! Guests: Tim Holloway (Mt. Vernon Rams Baseball), Bill England (Mt. Vernon Lady Rams Softball), Connie Harre-Blair (Mt. Vernon Lady Rams Track & Field), Marty Manfredo (Marion Wildcats Baseball), Ryan Miller (Benton Rangerettes Softball), Aaron Tebbe (Okawville Lady Rockets Softball), Lance Boldt (Wayne City Indians Baseball), plus local talk and the WMIX Sports Social Media Question of the Week! Guests: Tim Holloway (Mt. Vernon Rams Baseball), Bill England (Mt. Vernon Lady Rams Softball), Shawn Tripp (Goreville Blackcats Baseball), Jeff Rush (Hamilton County Foxes Football), John Kiselewski (Waltonville-Sesser-Valier Lady Spartans Softball), Alan Englehardt (Pinckneyville Panthers Softball), Andy Sloan (Benton Rangerettes Track & Field), plus local talk and the WMIX Sports Social Media Question of the Week! SPECIAL ONE HOUR – Guests: Tim Holloway (Mt. Vernon Rams Baseball), Bill England (Mt. Vernon Lady Rams Softball), Mallory Kauling (Centralia Annies Softball), Kevin Crask (Central Cougars Baseball), Shaun Renth (Nashville Hornettes Softball), plus local talk and the WMIX Sports Social Media Question of the Week! Guests: Tim Holloway (Mt. Vernon Rams Baseball), Bill England (Mt. Vernon Lady Rams Softball), Gus Gillespie (Marion Wildcats Basketball), Will Capie (Carterville Lions Softball), Brian Tackitt (Flora Wolves Basketball), Rachel Payne (Sesser-Valier-Waltonville Lady Devils Track & Field), Jason Hobbs (Benton Rangers Track & Field), Tod Rushing (Pinckneyville Panthers Track & Field), plus local talk and the WMIX Sports Social Media Question of the Week! Guests: Tim Holloway (Mt. Vernon Rams Baseball), Bill England (Mt. Vernon Lady Rams Softball), Trevor Clark (Johnston City Indians Baseball), Jackie Smith (Okawville Rockets Baseball), Sean Laughlin (Mt. 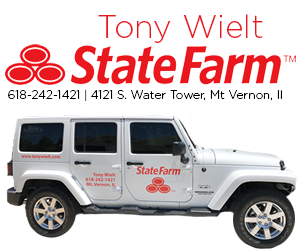 Vernon Lady Rams Soccer), Ryan Miller (Benton Rangeretttes Softball), Les Winkeler (The Southern), plus local talk and the WMIX Sports Social Media Question of the Week! Guests: Tim Holloway (Mt. Vernon Rams Baseball), Bill England (Mt. Vernon Lady Rams Softball), Connie Harre-Blair (Mt. Vernon Lady Rams Track & Field), Jim Kowzan (Herrin Tigers Softball), Todd Bauer (Centralia Orphans Baseball), Patrick Clark (Massac County Patriots Baseball), Brett Blondi (Benton Rangers Baseball), plus local talk and the WMIX Sports Social Media Question of the Week! Guests: Tim Holloway (Mt. Vernon Rams Baseball), Bill England (Mt. Vernon Lady Rams Softball), Drew Franklin (Trico Pioneers Softball), Clint Turner (Mt. Vernon Rams Track & Field), Connie Harre-Blair (Mt. Vernon Lady Rams Track & Field), plus local talk and the WMIX Sports Social Media Question of the Week! Guests: Tim Holloway (Mt. Vernon Rams Baseball), Bill England (Mt. Vernon Lady Rams Softball), Matt Patterson (Woodlawn Cardinals Softball), John Kiselewski (Waltonville-Sesser-Valier Spartans Softball), Shaun Renth (Nashville Hornettes Softball), Chad Malawy (Nashville Hornets Baseball), Tim Craft (Du Quoin Indians Baseball), Tod Rushing (Pinckneyville Panthers Track & Field), plus local talk and the WMIX Sports Social Media Question of the Week! Guests: Tim Holloway (Mt. Vernon Rams Baseball), Bill England (Mt. Vernon Lady Rams Softball), John Kiselewski (Waltonville-Sesser-Valier Spartans Softball), Doug Creel (Mt. Vernon Rams Basketball Camp), Jeff Lonnon (Mt. Vernon Lady Rams Basketball Camp), plus local talk and the WMIX Sports Social Media Question of the Week! Guests: Tim Holloway (Mt. Vernon Rams Baseball), Jim Kowzan (Herrin Tigers Softball), Alan Englehardt (Pinckneyville Panthers Softball), Andy Sloan (Benton Rangerettes Basketball), Anthony Lowery (Waltonville Spartans Basketball), Scott Burzynski (Johnston City Indians Basketball), Kerry Martin (Marion Wildcats Football), Wayne Harre (Nashville Hornets Basketball), plus local talk and the WMIX Sports Social Media Question of the Week! Guests: Shawn Tripp (Goreville Blackcats Baseball), Shanna Massey (Goreville Blackcats Softball), Trevor Clark (Southern Illinois Baseball Coaches Association All-Star Game), John Downey (IHSA Umpire), Joe Clark (Eldorado Eagles Football), Billy Belton (Chester Yellow Jackets Football), Steve Kozuszek (Nashville Hornets Football), Ron Winemiller (Benton Rangers Basketball), plus local talk and the WMIX Sports Social Media Question of the Week! Guests: Rob Wielt (MVTHS Sports HOF Committee), Kerry Hammond, MSEd, ATC, L-AT, CSCS (Orthopaedic Center of Southern Illinois), Rob Kirk (Sparta Bulldogs Football), Anthony Hargrove (CZR Bearcats Football), Kevin Bowen (Cisne Lions Basketball), Pierce Borah (Mt. Vernon Legion Baseball), Dustin Fink (Publisher, The Concussion Blog & IHSA Advisory Council on Player Safety), plus local talk and the WMIX Sports Social Media Question of the Week! Annual Commissioner for a Day Program. Jared Shaner joined the crew in studio as WMIX Sports and guests try to fix what is wrong in the world of high school sports. Guests: Jarrett Van Meter (Author, How Sweet It Is), Parker Windhorst (Massac County Patriots Athletic Director), Trevor Clark (Johnston City Indians Baseball), Ron Winemiller (Benton Rangers Basketball), Les Winkeler (Sports Editor, The Southern), Darren Kinnard (Sports Director, WSIL-TV) plus local talk and the WMIX Sports Social Media Question of the Week!